The last option anyone should consider for treating a meniscus injury is the surgical removal of all or some of this important structure. In the majority of cases, regenerative stem cell therapy or platelet procedures (along with physical therapy) are a better option. It is very common to have meniscus tears appear on MRI, especially as we age, but oftentimes these tears are not actually the source of the patient’s knee pain. Far too many meniscus surgeries are performed every year, with many published studies concluding that meniscus surgeries may be no more effective than physical therapy or no surgery at all. Around our Regenexx® Network, meniscus tears are one of the most common injuries we treat. We have seen good results with both our Regenexx Stem Cell Procedure and Regenexx Super Concentrated Platelet Rich Plasma to help heal these injuries, rather than removing sections of this important structure through a surgical procedure. Our patients can return to their daily activities almost immediately and they avoid the lengthy and painful rehabilitation that typically follows surgery. 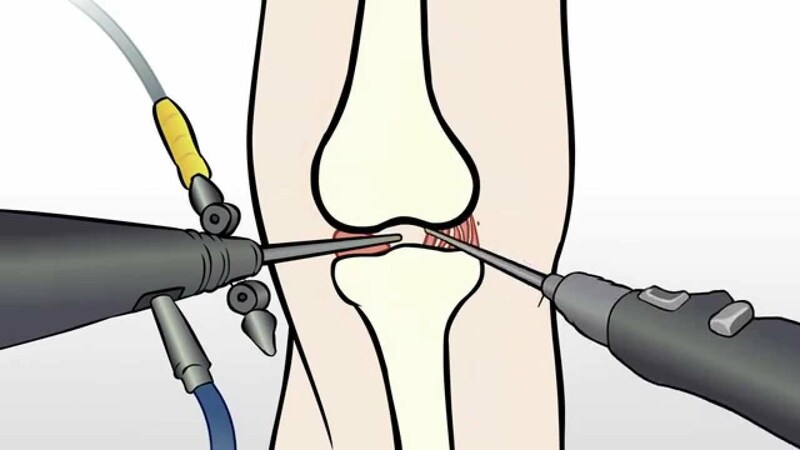 They also avoid the acceleration of knee degeneration that results from removing this important knee structure. A Medial Meniscus Tear describes a tear on medial meniscus often caused traumatically by sudden changes of direction and force in sports like football, soccer, basketball, volleyball and skiing. They can also be caused by repetitive use injuries like distance running and cycling and degenerative changes to the knee in older patients. Medial Meniscus Tears respond very well to Stem Cell Therapy. Bucket Handle Meniscus Tear: The entire inner rim of the medial meniscus can be torn in what is called a bucket handle tear. These tears usually occur in an area of good blood supply in the meniscus. While these tears when caught very early are the one case that can be sutured, an injection of your own stem cells can accomplish the same thing without the risks and recovery time of surgery. Meniscus Flap Tear: The meniscus can also have a flap tear from the inner rim. These tears usually involve a small percentage of the meniscus and do not have the ability to heal on their own because they occur in an area that does not have good blood supply. Flap tears are the type most commonly “trimmed” or “shaved”, (removed) leading to long term issues. BEWARE of any removal of meniscus tissue. Instead use your own stem cells to heal the tear. Complex Degenerative Meniscus Tears: Just like other tissues of the body, the tissue that forms the menisci weakens with age, making the menisci prone to degeneration and tearing with just minor injury or no particular injury at all. These tears of the meniscus are usually seen as a part of the overall condition of osteoarthritis of the knees in older adults and cause the menisci to fray and tear in multiple directions. Thankfully, in these cases, there are so many tears, most surgeons won’t even try to repair them surgically. While surgery won’t help, Regenexx can place your own stem cells and growth factors into the areas that need help with just injections. The Meniscus is both the shock absorber of the knee joint and the spacer that protects the cartilage which covers the top of the femur and the tibia bone. It does this by distributing the force equally across the joint. The meniscus is made of living fibro-cartilage tissue. Each knee has two menisci, a medial meniscus which is closer to the inside of the body, and a lateral meniscus which is closer to the outside of the body. The medial meniscus is more easily injured than the lateral one for biomechanical reasons. Knee meniscus tears are one of the most common knee injuries we treat. Stem Cell treatment of meniscus tears offers patients a minimally invasive same-day injection procedure that may help heal the injured tissue and allow the individual to avoid the painful and lengthy recovery that typically follows surgery, as well as the long term impact to the knee as a result of removing sections of meniscus. Regenexx uses the healing power of your own stem cells and platelets to help heal this tissue, rather than remove it. Why Not Fix the Meniscus Surgically? More than 90% of the time meniscus surgery does not “repair” the meniscus, but rather removes the torn pieces. Given its shock absorbing function, less shock absorber means more shock gets delivered to the cartilage and bone. After a while, this living tissue reacts and cartilage is lost and the knee begins to form new bone spurs. Studies have calculated increased force versus the amount of meniscus removed and its profound negative consequences to the long term function and stability of the knee. In addition, papers have confirmed that removing parts of the meniscus results in knee arthritis. Most remarkably, recent research has shown that meniscus surgery, on average, is no more effective than physical therapy in its positive effects, however physical therapy has no negative impact. Despite this, millions of meniscectomies are still performed every year. If you’re asking yourself, “Should I have Meniscus Surgery?” this report was created for you. We have been blogging for years about research study after research study showing that meniscus tear surgeries are largely ineffective and that most meniscus tears are like wrinkles in middle-age people (most everyone has them, regardless of whether they feel any pain in their knees). A new study is out that may just put the final nail in the coffin. Download this report and learn why meniscus surgery is unlikely to be your best treatment option. Regenexx Procedures were recently featured on “The Doctors” TV show. The episode featured Dr. Christopher J. Centeno and Dr. Ron Hanson from the Centeno-Schultz Clinic in Colorado, along with patient Barbee James, who sought stem cell treatment following traditional knee surgery. The 6 minute video provides a nice overview of the Regenexx Same Day Stem Cell procedure. 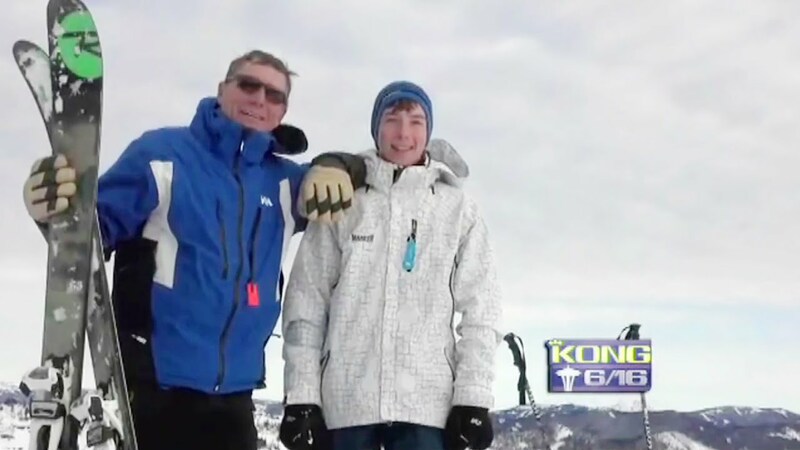 Seattle King TV recently featured Regenexx patient Paul Lyon in this news segment. Lyon chose to undergo a Regenexx Same-Day knee procedure, rather than an invasive and traumatic knee joint replacement surgery. The story looks at his results and includes an interview with Dr. Christopher Centeno, founder of the Regenexx Procedures. Register for the next Regenexx Webinar! Learn why Regenexx Procedures are superior to other orthopedic stem cell & platelet procedures available today. Join Dr. Chris Centeno, founder of the Regenexx Procedures, for this webinar explaining the procedures, as well as the ongoing research and innovation happening at Regenexx. The presentation will be followed by a Q&A session.